Church of God Prayer Ministries has an on-going initiative to involve the local church in a regular program of prayer. 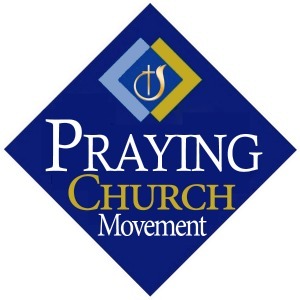 It’s called the Praying Church Movement. 1.Led by a praying pastor, and aided by a prayer leadership team, we commit to bring prayer to the heart of all we do! “Without Christ, we can do nothing!” Therefore, our resources, spiritual and material; our plans and programs, we will bathe in prayer. “1.Led by a praying pastor, and aided by a prayer leadership team, we commit to bring prayer to the heart of all we do! “Without Christ, we can do nothing!” Therefore, our resources, spiritual and material; our plans and programs, we will bathe in prayer. 2.We will encourage at-home, daily, to-be-like-Jesus praying. We will reestablish our personal and family altars. We will embrace the discipline of daily times with God, with one another as couples, and as families. We will champion the idea of ‘prayer rooms/closets’. 3.We will call our congregation to regular ‘Great Days of Prayer!’ with the goal of establishing a regular prayer meeting for the entire church at least monthly, if not, weekly. We will make the prayer meeting as important as Sunday Morning singing and preaching.